Deferred Action for Childhood Arrivals (DACA), 800 thousand of them whom arrived illegally, are being prioritized by Democrats over the rights of 320 million tax paying American citizens . Even though the current illegal DACA arrangement implemented by an illegal Executive Order by former President Obama is not due to expire until March 5th, 2018, the Democrats (#ShumerShutdown) are NOT willing to pass a continuous resolution to fund the government. So Dems, to quote Dirt Harry, “you feel lucky punk?” Go ahead, shut her down! 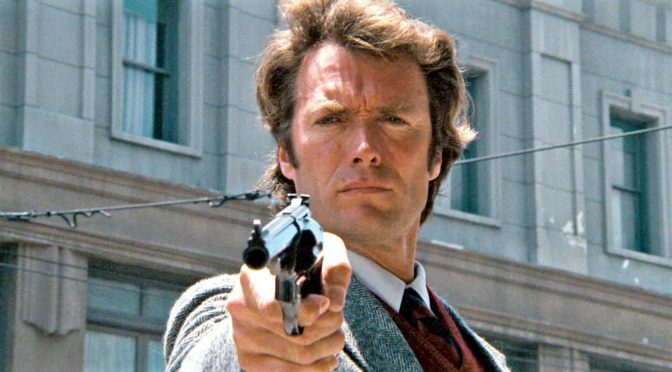 Always good to see Clint Eastwood wielding his Magnum 357 ! I hope that “Chuck-you” Schumer is laying on the ground looking up at DJT’s powerful arsenal of vermin-killing weapons! “Chuck-you” falls into the category of vermin. Hoping that DJT has something “special” in mind for his “special” friend……”Cryin’ & Lyin’ Chuck-you Schumer”!